Tip 1: Have a benefit that is clear. That is exactly what I did with the headline on this post. I told you I was going to give you five tips for writing great headlines. Full disclosure: These are not my tips, but rather those of Richard Haddad, digital director of Western News & Info, who presented on the topic at the 2012 NFPW Communications Conference in Arizona. Headlines that focus on benefits such as “better, easier and happier” will get more attention. Lists also are popular, Haddad said, because they become a “how-to” for readers. Tip 2: Avoid the seven deadly flag words. And yet the goal of a headline is to entice the reader into the article. His recommendation is for reporters to always submit two headlines when submitting a story. Tip 3: Optimize your headlines for web readers and search engines. You will need to inject keywords into the headline. “The headline alone must provide enough information scent to let users predict what they’ll get if they follow the link,” Haddad said. As authors we have about three seconds to catch the reader’s attention, Haddad said. Using clear, immediate-read keywords to draw people into the story is essential. Tip 4: Get the first two words right. This tip also holds true for subheads, summaries, captions and bulleted lists. Tip 5: Write your headline first. That’s exactly what I did with this blog. I reviewed my notes to confirm that Haddad had indeed provided the audience with five tips and that became my headline. Haddad said more news writers should follow the practice of marketing copywriters, which is 50 percent research and 50 percent writing the headline. Of course, writers need time to write, but the point is – headlines are critical. What if you attended a boring meeting? Haddad’s solution is simple, don’t write a story. Instead create a grid that outlines what was discussed and the actions taken. If one action stands out that becomes the story with a compelling headline. I hope you agree that with the content of this blog I kept my promise to you that I made in my headline. When it comes to handling a crisis today, it’s a whole new world. Julie Rodriguez, public information manager of Phoenix Sky Harbor International Airport, shared at the National Federation of Press Women 2012 Communications Conference how the world has changed technologically and how those changes impact news. When she started in the business, press releases were still faxed to reporters. Today communications is instant and includes tools such as email, websites, 24-hour media texts, Facebook, Twitter, Google+, YouTube, blogs, apps and direct email lists. 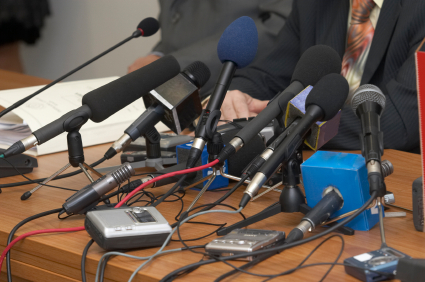 Beginning with the fact finding ensures that you have the needed information or have identified what you still need before speaking to the media. It’s then important to communicate with partners, Rodriguez said. She and her staff, though, will assist reporters in finding the person who can give them the necessary information. Once you have done these two steps you can return media calls, post to social media and send group emails. Then, she said, schedule in-person media briefings. Following these steps and using the new technology, Rodriguez, said will help you dispel inaccurate rumors and enable you to quickly contact news outlets. 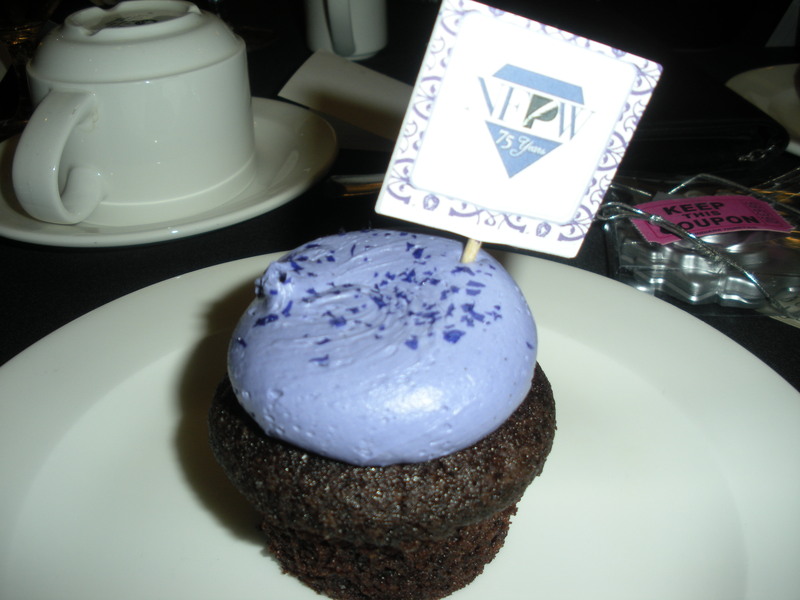 Hotel Valley Ho set the stage for the 2012 NFPW Conference. It’s 4 a.m. in Scottsdale, Ariz., as I write this. 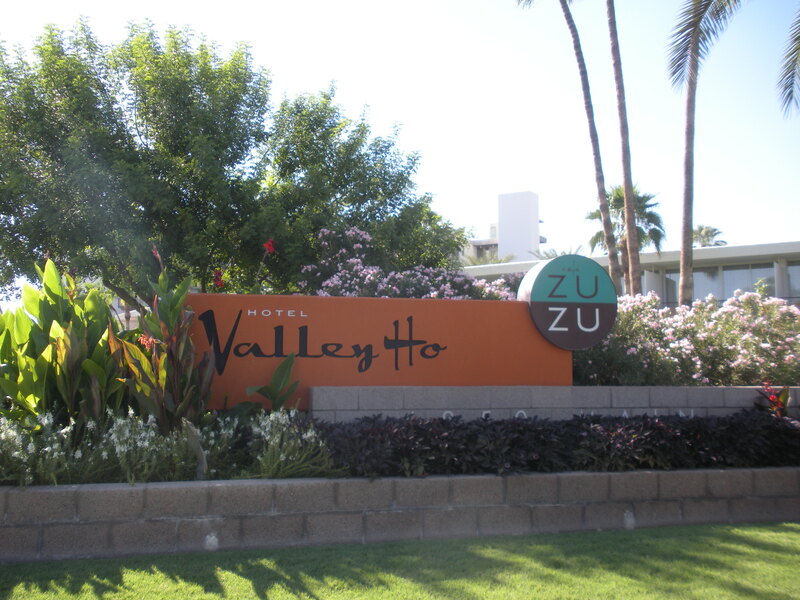 I’m awake only because it’s time for me to check out of my outstanding accommodations at the Hotel Valley Ho and leave behind my friends and the annual NFPW conference and return to the real world. For a few days each year at this conference I rekindle friendships, renew my spirit and reawaken my thirst for knowledge. I attended my first conference many years ago for the same reason I suspect many members do – I was receiving an award in the annual communications contest. As a young reporter, I was excited to learn what place I had won and to learn how I could improve my writing from the judges’ comments. Of course once you are at conference, you are going to attend the workshops, which almost always are outstanding. This year, I learned about communicating a crisis using the latest technology, writing headlines for the Web and accessing my muse. I had conversations and laughter with friends. That’s a given, but breakfast speaker Steve Saffron reinforced the value of laughter and humor during his presentation. As he encouraged us to dance our way out of the room to our next workshop, he turned on the tunes and the next thing you knew, we were all dancing. This year I didn’t participate in the pre- or post-tours because of my schedule, but I managed to squeeze in a few hours to explore Scottsdale. I enjoyed summer for a few more days with 100+ degree days and plenty of sunshine. Now, though, it’s time to say good-bye and return to the chilly autumn days of the East Coast. I already have marked my calendar for Aug. 22-24 in Utah for the 2013 conference knowing all the wonderful benefits it will provide. Will you be there? When Glennis McNeal attended her first NFPW conference in 1985 in Chicago it was to pick up a first place prize for a brochure she created as a freelancer for the National Psoriasis Foundation. It also was her first trip east of the Rocky Mountains. It’s where she met her longtime friend Marlene Cook of Illinois Woman’s Press Association. Glennis McNeal is celebrating 75 years along with NFPW. This year she’s helping with the conference in Arizona as NFPW celebrates its 75th anniversary. Glennis, too, is celebrating 75 years as she was born Sept. 1, 1937. Like many press women, she is as active as ever. In addition to helping with the conference, she also is co-vice president of Oregon Press Women with Katherine Keniston. Yep, Glennis has dual membership in both Oregon, which she joined in 1974, and Arizona, where she spends her winters. “NFPW was my college and my business school as I built my communications career on the basis of only high school journalism experience,” Glennis said. She didn’t graduate college until after retirement, earning her degree in arts and communication from Linfield College in Oregon. Along the way, Glennis contributed to OPW and NFPW. She has served as secretary, vice president and president (twice) of OPW. She also coordinated a pre-tour through Oregon before the Seattle conference in 2005. Sometimes, though, Glennis was reluctant to change. “I have watched with interest as NFPW worked to add value to membership, adding programs and affiliations to bring member skills forward,” she said, specifically referring to Facebook. She first learned about it at a national conference and resisted, but as she learned more about it through NFPW she discovered, “This is really cool! So glad I’ve learned to use this.” And she has, as she keeps members updated about conference plans in Arizona. “NFPW has dragged me into new frontiers,” she said. Today is National Women’s Friendship Day. It was created in 1999 by the Kappa Delta Sorority and is held the third Sunday in September, but I think it should be held whenever the NFPW national conference is held. Friendships are formed in NFPW. A group of us explored Yellowstone National Park followiing a board meeting. One of the things that makes membership in NFPW so special is the friendships that develop. I belong to several groups in addition to NFPW, and everyone is friendly, but our focus is on the business side. In NFPW, we focus on networking and professional development. But because we also offer pre- and post-tours we have opportunities to get to know each other better. When we see each other at the annual conference we renew our friendships. Keeping the friendships active throughout the year is much easier now that we have Facebook and other social sharing tools. As you get ready to attend NFPW, why not send a note to the many friends you’ll be seeing and make plans to catch up. And don’t forget to reach out to the first-timers attending the conference. Before you know it you will have even more friends. For the past year, though, that’s changed because I realized I need to find “the power of rhythm and routine” at work. That phrase comes from Cheryl Richardson in her book, The Art of Extreme Self Care. Creating routines “creates a sense of order that gives the mind a much-needed rest,” she writes. What works for me, may not work for you, but perhaps you can find some inspiration in what I’ve tried. I print my daily calendar for the next day before I leave the office at the end of the day. That way I already know if I have to pack a lunch or if I have an early meeting for which I must prepare. If that’s the case, I know to schedule my training session for a different day or only plan on a 30-minute morning workout. I also know what healthy snacks to pack. I abhor voice mail so I’ve given myself permission to only check it at day’s end. In this technological age, if someone really needs me, they’ll find me, usually by email. I’ve never missed an important call. The benefit is that I return all calls at a set time. Most of the calls are salespeople, who also send an email. At the start of each year (for me that is both January for the calendar year and July for the fiscal year) I review all standing meetings. I either continue them or delete them based on current operational plans. Having the meetings set makes it easier for me to manage my schedule. I block my calendar on Friday afternoons. No, I’m not going home early. What I am doing is giving myself a few hours of undisturbed time where I can progress projects, clean up emails and organize my desk for the coming week. If I don’t block the time, someone will request a meeting. My team knows that Friday meetings should be avoided at all costs. I spend too much time sitting, so the executive assistant who sits outside my office now tosses a rubber ball at my glass wall reminding me to get up and move around. After my walk – usually just around my floor — I return to my desk energized. What will you do to create a sense of order? Participate in POWER Networking. This event is held on the first day of the conference and is an easy way to meet about a dozen members. Then you can follow-up with them throughout the conference and afterwards. Even if you are an introvert, you’ll enjoy this event. Bring plenty of business cards. You’ll want to share them as part of POWER Networking. You’ll also want to share them throughout the conference. When you do meet someone and exchange business cards, make a note on the back of the person’s card so you’ll recall the encounter and will have a reason to follow-up. 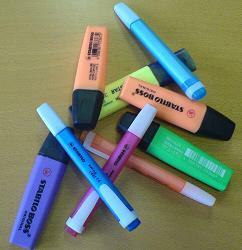 Highlighters are handy to have with you to mark what sessions you want to attend at a conference. Review the schedule. The conference is jam-packed with workshop sessions, banquets and networking opportunities. Take a moment when you first arrive to highlight or circle the activities you must want to do. This will help prevent you from overlooking an activity. Talk to someone you don’t know. Who knows, they may not know anyone either and you will each have a new acquaintance. I look forward to conferences now because I have made so many friends from across the United States. Schedule time to explore. One of the best parts of NFPW conferences are the pre- and post-tours, as well as the day tours. Even if you weren’t able to participate in those, take a few hours to check out the neighborhood. This year’s conference is in Scottsdale, known for its breathtaking landscape, upscale shopping and ArtWalks. You’ll also want to check out the hotel, a former Hollywood hideaway. Natalie Wood and Robert Wagner wed at the hotel.